Are you excited for Season 4 of Game of Thrones? Hell yeah, me too! Here’s my recap of Season 4, episode 1. I have a hard time keeping track of everyone’s name on the show, and I don’t want to Google people’s names and risk seeing spoilers, so bear with me and my use of nicknames. I haven’t read the books, so I’ll only be talking about what’s on the show. If you have read the books, please be cool and don’t spoil future events in the show. There are plenty of SPOILERS in this recap of episode 1 of season 4 of Game of Thrones. If you’d like to go in fresh, I HIGHLY RECOMMEND not reading past the photo below of Emma Watson sitting on the Iron Throne. Seriously! No further than this photo! Come back after you’ve seen the episode! The show opens with Tywin Lanister overseeing the melting down of Robb Stark’s sword. It’s so big that he makes two, one for him and one for Jamie. 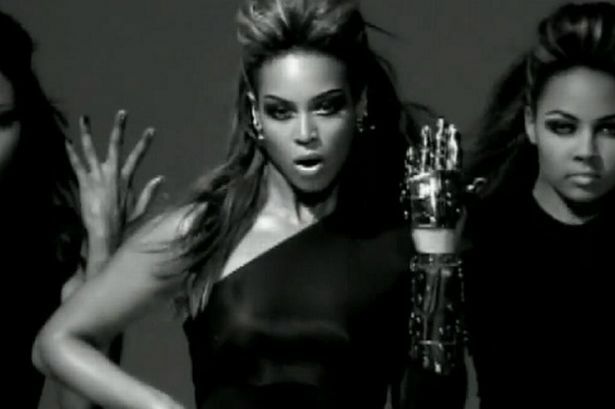 Jaime gets fitted with Beyonce’s C3P0 hand from Single Ladies. He’s not happy. He kind of looks like the guy with the metal hand from He-Man. 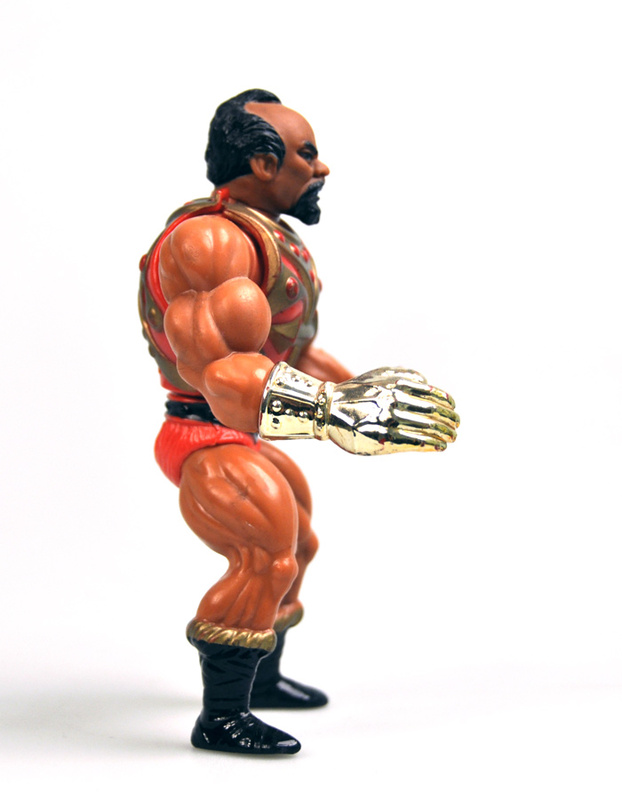 Not Fisto, the Asian guy from He-Man who had that gold karate chop hand. Cersei gets all “You’ve been gone so long, it turns out I don’t need you” on Jaime, who just wants to get some hump time on his sister. Cold hearted, sis. Cold hearted. It gets worse for Jaime when he has to meet with his son-nephew, King Joffrey. Joffrey, always the worst, belittles Jaime and wonders how a one-handed head guard will keep him safe. The look on Jamie’s face says he’s wondering why he wants to stay with his son-nephew and sister-babymomma. Khalessi is marching her army closer to King’s Landing. One of the unsullied and Smarmy-McBearderson are having a contest to see who can hold their sword up longest. It’s not as dirty as it sounds. Winner gets to ride next to Khaleesi. Regardless, Khaleesi is unimpressed and tells them both to ride behind the army. Smarmy-McBearderson gets back in her favor by giving her a blue rose, some Catan-esque wheat and a pretty yet poisonous red flower. Classic Smarmy McBearderson. Dude is the FTD of Westeros. I might start calling him Smarmy-McPantydropper. This scene did make me bummed for Friend Zone. Always in the friend zone, that Friend Zone. Brynn meets with Joffrey’s future wife, Princess Low Cut, and her grandmother, The Flying Nun. The Flying Nun is way impressed by Brynn. Brynn fills in Princess Low Cut about the shade that killed Renly and how it looked like Sourpuss, I mean Stannis, Baratheon. How is that I remember Renly’s name, but not his hot widow’s? Tyrion is living in Game of Thrones – The Sitcom. First he has to greet an incoming prince, who doesn’t show, but sent his younger brother, Inigo Montoya, in his place. Tyrion finds him in Littlefinger’s brothel about to get his 4-way on. 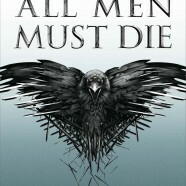 During their conversation, you really get the impression that Inigo Montoya hates Lannisters, like “You killed my father. Prepare to die.” level hatred. But he does offer Tyrion and Best-Line Bronn spots in his gang-bang. Bronn seems ready to party, but Tyrion turns him down. Best-Line Bronn once again gets the best lines in the show, but what else would you expect? Later, Tyrion has to deal with Sansa, his forced wife. Sansa is depressed. Tyrion tries talking Sansa out of her funk. Seeing Tyrion talking to Sansa gets his lover, Shay, pissed. The Tyrion sitcom continues. He’s just trying to keep his wife from killing herself and his lover happy. He’s doing a so-so job at both. Brynn and Jaime watch Sansa from above while she’s sitting alone. Brynn makes Jamie promise to keep Sansa safe. Jaime’s all like “Do I have to?” and Brynn’s all like, “Um yeah.” Jaime says ‘Okay”. Things get creepy when someone is following Sansa. But it turns out to be a guy Sansa saved from beheading, who gives her a necklace. I wonder if we’ll see him again. Arya and The Hound are still on their horseback ride through the country that began last season. The Hound wants to sell Arya to her aunt. They come across the king’s men who took Arya’s sword Needle and killed her friend. The Hound makes fun of the name Needle and sword names in general. Hound: “What’s with people naming their swords? I mean, who are these people?” Arya wants her sword back. The Hound wants some food. Arya’s sword thief gets uppity with The Hound, which never seems like a good idea. Sword Thief and his men quickly die. Arya kills him last with her retrieved Needle while saying his own lines back at him from when he took Needle. The episode ends with scenes from this coming season on Game of Thrones, which looks awesome! Nope, Robb never had that sword, Ilyn Payne used the sword to execute Ned and then kept it, then Tywin reforged it into two swords. Pretty sure after Ilyn Payne used the sword to decapitate Ned it was sent back to the Starks. You see Robb using the sword to execute someone himself. umm noooo Robb executed Lord Karstark with HIS OWN SWORD…. NOT Ned’s greatsword ICE!! Yup, by the way Robb mentionned that in his terms for peace with the Lannister. He wanted his father’s bones AND his sword, but the Lannisters didn’t send it. Loving Princess Low Cut and Best-Line Bronn! The Hound and Arya are going to get it on. They make a cute couple, actually. Oh come on, what makes you say that? Are you sure you are not a child molester? There’s going to be 8 seasons in total. Where did you see/read there will be eight seasons? How do you know that Miranda? Yeah u are right. Dats sik, eww, I feel lyk throwing up. It’s not Robb Stark’s sword. Ice is a family sword but it never reached Ned’s heir because it was used to execute him and then melted down to become Valyrian steel swords for Jeoffrey and Jaimie Lannister. This is the worst recap I have ever read about anything to do with GoT. How do these posts even get readership?! You have clearly never even picked up the books (or if you have, you do not know how to retain information) AND you pay partial attention to the show. You’re merely latching on to the popularity of this show, using it to up your viewership, and real fans (who don’t need websites to get a recap on GoT)should be absolutely disgusted by your awful writing, disgraceful synopsis, and Inigo Montoya, really? Are you deficient? You cannot even refer to characters by their proper names. You insult true fans. Your readers and the idiots who have commented already are no true fans of this show. None of you even have the common intelligence or decency to fact-find, pay attention, or pick up a freakin’ book. If your writing were better, perhaps your poor attempts at humor would be permissible. But on the bright side, all of my friends are having a good laugh about what idiots you are, and only one of them is sad that this is what the average American is capable of. You are, without a doubt, some of the most asinine individuals I have ever had the poor luck of encountering on the internet. SO THANKFUL idiots like you don’t grace my life normally. Somebody’s wearing the bitter pants. Finally, the truth! It had to be said. Thank you S.W! Hey S.W. , you seem to have forgotten a basic rule about mass media that applies to the internet, the television, the radio and even billboards. If you don’t like some content, ignore it. You are not an all-powerful deity that controls what everyone else thinks. (Sorry to burst your bubble.) I am sure there are people out there who love GoT and thought this review was funny. So if you don’t like it, piss off. There are other sites for your narrow mind to enjoy. And if you think you hate this, you should listen to The Billy and Bryan Show podcast. It’s just some harmless banter that actually takes the edge off some heart wrenching scenes. I thought it was funny and I am a fan. Now just because some people haven’t read the books why does that mean that the ones that have are better than the ones that haven’t? I am an avid reader of many things but hadn’t come across this series until I watched the tv show. Does that make me inferior? I’m now going to read the books to get a fuller perspective of the stories, but I am sick of thisuperior attitude some people display when it’s just entertainment…. Your’e awesome. Thanx. Love the writing and the nick names!